If production volumes are required, tooling is required once prototyping and sampling are signed off. Solidworks CAD files are converted so Tool and Die makers can make molds out of metal. 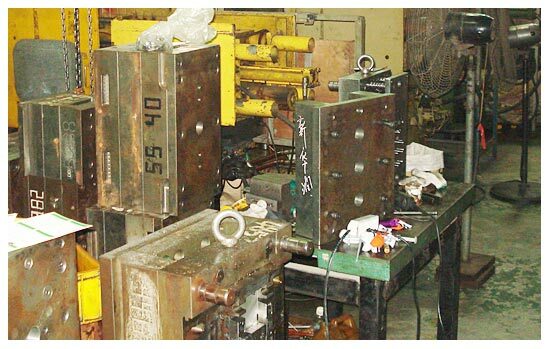 These tools, or molds are used to either form metal or mold plastic parts. Terms for Tooling are generally a 50/50 contract for new products. A 50% deposit to begin is required to get the ball rolling and the remaining 50% is due once final samples are approved. When molding plastics, tooling can be made from aluminum or steel depending on initial volume and investment required. With a vast network of local shops in the United States and factories overseas, we can either make tools in the states or off-shore. The product category, volume and complexity will determine which route is taken. A Pre-production run ensures the tooling that has been made is correct and can often be utilized to test the market.